Your tasty local frozen yogurt shop! 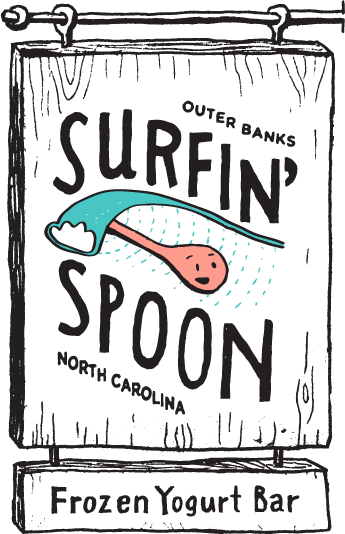 Surfin’ Spoon is a radical little frozen yogurt bar established by professional surfer, Jesse Hines. He and his wife, Whitney, are passionate about the Outer Banks community, surfing, and tasty, healthy treats. Surfin’ Spoon is more than frozen yogurt, it’s an experience! Tasty frozen yogurt, sorbets, gelato and VEGAN & gluten-free treats. Super-friendly staff, fun atmosphere and epic location… stop by! Yewwwww!